We love handmade, high-quality frames, even more so when they have cool details, like sparkly Swarovski crystals or bright pops of color. Lucky for us, TD Tom Davies specializes in both of those trendy touches. Designed by bespoke eyewear designer, Tom Davies, these sunnies and specs have everything you need to make a fashionable impression. 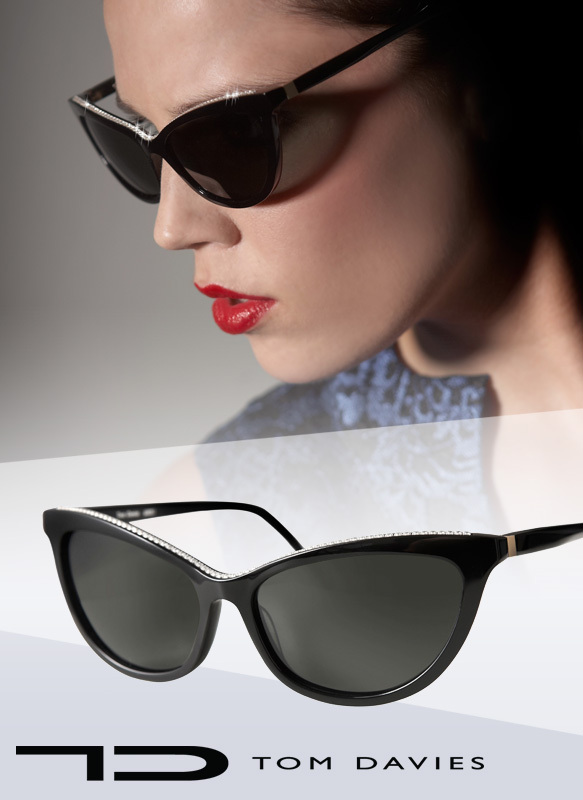 Rev up your style for sheer perfection in these striking cat-eyes, adorned with what every girl craves – lots of Swarovski bling. 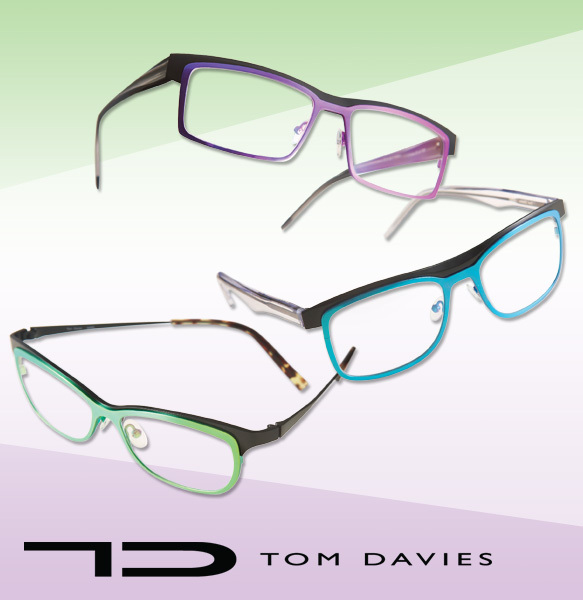 Or if you’re lusting after the bold hues of the season, try TD Tom Davies’ electric titanium colors. What’s even better is that the color is virtually scratch-proof because of the brand’s innovative use of ion plating.